While we know we need to get oil tank removal if we are moving homes or want to maintain a commitment to being environmentally conscious, we may still have concerns about the process. One of the biggest concerns we come across from our customers at West Coast Tank Removal is the mess that could be made during oil tank removal, resulting in a garden being completely ruined. Today we are going to let you know exactly why oil tank removal won’t cause a big mess when it takes place on your property. We take expert care to ensure the process is as clean and efficient as possible. We will not dig up your entire garden looking for an abandoned oil tank. This is one of the key reasons as to why oil tank removal won’t cause a mess when you choose West Coast Tank Removal. We use special infra-red technology to detect if you have an oil tank underground and exactly where it is located. Once we have located where the oil tank is, we will keep the oil tank removal process contained to that specific area. We will only dig up the soil surrounding the buried oil tank on your property. Then we will break the tank down into pieces, so we are not dragging a large oil tank across your garden, disrupting it even more. These smaller pieces will be expertly transported from our site to our truck and then disposed of in an environmentally responsible manner, and anything that can be recycled, will be. Finally, we will fill the hole that is left with new soil. This will not only help your garden look like normal again, it will encourage the eco system around the buried oil tank to become healthy again. On top of this soil, you can plant grass or whatever was there before, and it will be almost impossible to tell the difference. 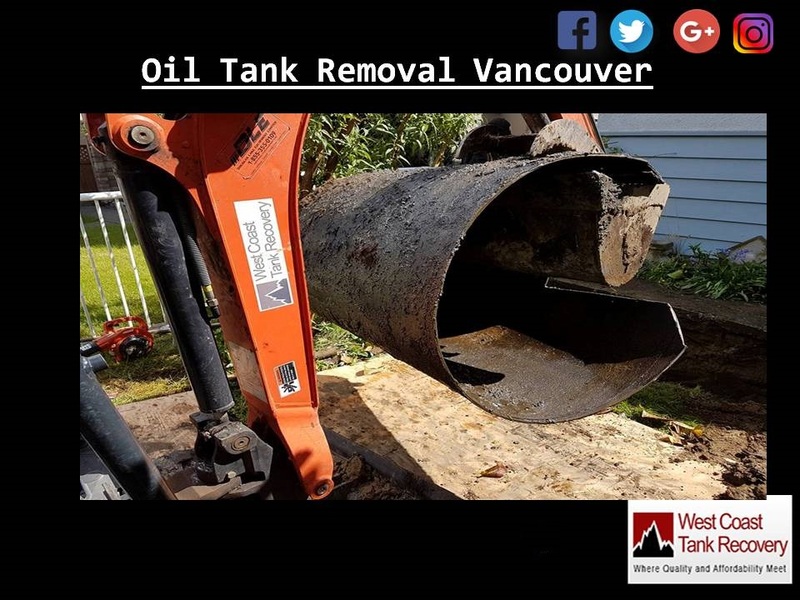 We understand that oil tank removal is not ideal, but when you leave it in the hands of West Coast tank removal, you will not have to worry. We will carry out the process of oil tank removal in a tidy and efficient manner and when the process is over, your garden will look so good, you won’t even realize oil tank removal has been done!